The Philippines was recently featured at the 43rd Tampere International Short Film held in Tampere, Finland from March 06 to 10 with a special programme called Focus on the Philippines. A collection of 19 documentary, experimental and fiction short films made by various Filipino filmmakers over the past 40 years were screened during the five-day international film festival. They included, The Yawn (1984) and Magpakailanman (1983) by noted independent film director Raymond Red, the 1969 experimental film ’’Recuerdo of Two Sundays & Two Roads that Lead to the Sea by Romeo Vitug and Olivet(1983), a documentary by multi-awarded Filipino director and writer Nick Deocampo. The program also featured contemporary fiction short films including lmik (2012) by Anna Isabelle Matutina and Tundong Magiliw: Pasaan Isinisilang Siyang Mahwap? by Jewel Maranan. Axel Estein of the Network for the Promotion of Asian Cinema curated the programme. 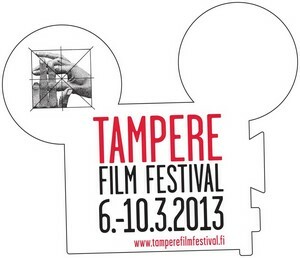 The Tampere Film Festival held every March is the oldest short film festival in Northern Europe. It is accredited by the International Federation of Film Producers Associations (Fédération Internationale des Associations de Producteurs de Films or FIAPF) and is considered as one of the most important short film festivals in Europe. The 43rd edition of the festival attracted a total audience of more than 25,000 and showcased more than 500 films in 130 screenings over five days.